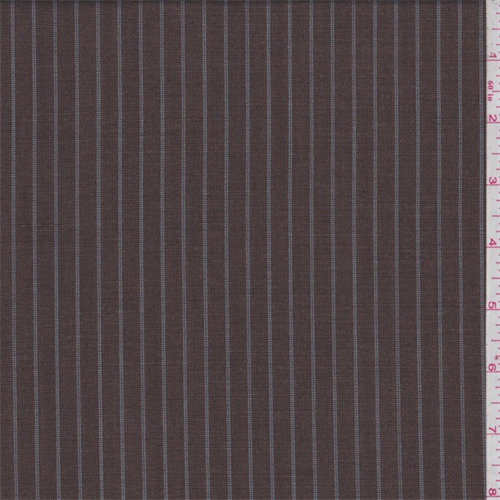 Light/tropical weight 100% wool suiting with a slate blue double vertical pinstripe. Smooth surface with a crisp and dry hand/feel. Nice drape, suitable for dresses, skirts, slacks and warm weather suits. Hand wash cold or dry clean for best results. Imported from Japan.